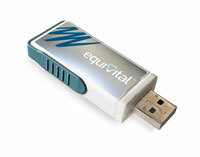 What is the Equivital wireless physiological monitoring system? 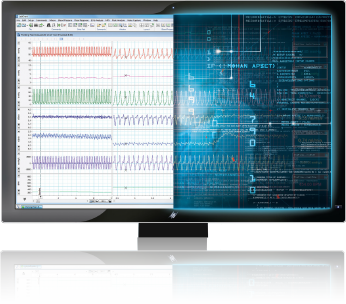 The core components of the Equivital wireless physiological monitoring system are the Sensor belt and the Sensor Electronics Module (SEM) combined with LabChart analysis software. The compact and unobtrusive design of the belt allows your subject to move freely whilst accurately recording human physiological data such as ECG, breathing rate and high resolution tri-axial acceleration directly to the SEM. 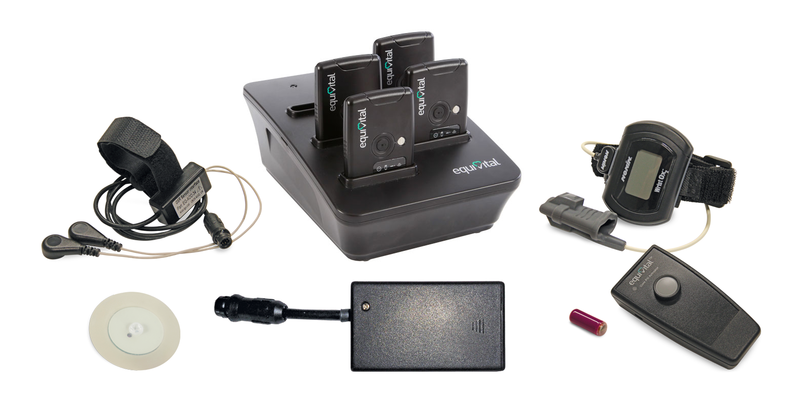 The SEM can also connect to a range of other ancillaries (wired or wirelessly) for the recording of additional parameters such as galvanic skin response (GSR), blood oxygen saturation (SpO2) and core temperature. The new logging import feature we have created in LabChart allows you to take your research outside of the laboratory by enabling you to extract logged data from the SEM. Furthermore, you can now import and synchronize data from multiple SEMs to facilitate group studies. This will provide you with an alternative to live streaming your data directly to LabChart, which is restricted by the 40m limit between the belt and bluetooth device. To maximize your experience with the Equivital wireless physiological monitoring system and LabChart, we have created a guide covering how to: configure your SEM, appropriately fit the belt to your subject, live stream into LabChart and use the new LabChart logging import tool. And any accessories that you might want to attach - such as GSR, SpO2, temperature or an extra battery to extend the battery life of the SEM. The following video will show you how to configure your SEM and fit the Equivital sensor belt to your subject. New to Equivital? Click here for everything you need to know about getting started. This section will cover the configuration of the SEM to record certain physiological signals. Connect the SEM to the computer via USB or the M-Dock and launch the Equivital manager software. The Software will automatically detect the SEM and provide you with some general information about the SEM such as; the serial number, firmware version, and the current battery life. If you go over to 'SEM configuration' and then 'General' you will have options for enabling and disabling Bluetooth connectivity and various other modes that will allow you to record data in different ways. Here you can also choose your ancillaries, this includes things like; GSR, SpO2, the temperature patch and temperature pills that you are wanting to record from. When you are done with your configuration, click ‘Apply’ and that will send all the settings down to the SEM. Now you are ready to set up your experiment! Sizing - There are 9 different belt sizes available that are comfortable for both men and women. Ideally, the belt will be ‘snug’ on the subject, but still allow room for a finger to be inserted beneath the belt. Electrode-skin contact - Make sure you dampen the electrode pads on the underside of the belt and that they are directly contacting the skin. This will allow for a better connection and a more accurate signal reading. The SEM is inserted correctly - The SEM is inserted into a pouch on the left-hand-side of the belt under the subject’s arm. If the SEM has been inserted correctly, you should hear a click and see the LED lights in the window. To check the SEM is on, push the button in the centre and you should see the LED light flash 5 times, indicating the SEM is on and ready to record. This next video will cover how to live stream data into LabChart, as well as, how to import logged data from the SEM into LabChart. First, you will need to connect the Equivital Bluetooth Dongle to the computer. Launch LabChart, and then wait for the software to automatically scan for the Equivital device(s) near by. Please note, you can record data from up to two devices simultaneously with a single dongle. Select the device(s) you want from the list and click ‘OK’. The Equivital LifeMonitor should now show a green check next to it in the 'Scanning for devices' screen. Click 'OK' and start a new file. Before you start sampling into LabChart, you need to determine which channels you want to sample from. The channels displayed can be configured in LabChart's 'Channel Settings' dialogue found in the 'Setup' menu. The first seven channels come from the SEM alone and cover ECG, accelerometry, breathing and skin temperature. The other channels available in LabChart come from the peripheral devices. Once you have selected the channels you want to sample, click ‘Start’ in LabChart and your data will begin to stream. Here we will talk through the new importing functionality that has been added to LabChart.This awesome new feature will allow you to take your experiment outside of the lab by using the logging feature of the SEM, which is ideal for studies which distance and length of recording is important e.g. outdoor excercise physiology or sleep studies. Once you have finished recording your signals, you can import your data directly into LabChart. To do this, you will need to connect the SEM to the computer (via USB) and launch the Equivital Manager Software. To find your files, navigate to the 'SEM File Management' tab. Right click on the file you are wanting to export and click 'Download file from SEM’. This will save the file to the computer. If you are wanting to change the location the file is saved to, navigate to the menu tab. Under the ‘System’ option, select ‘Program Settings’ and note the ‘storage root folder’. This is where the files downloaded from you SEM will be stored. You may change this to another location. Open LabChart and go to the file menu. Here you can do one of two things. If you are wanting to import data from multiple SEMs, select the ‘Import Multiple Equivital SEM Files’ option. This will allow you to import Equivital SEM files from multiple subjects, and synchronize them as you import them to LabChart. If you only want to import a single file, click ‘Open’ and select the file you wish you import, making sure to select 'Equivital SEM File' type. Now you will be asked which data channels you wish to import. For example, if you had only recorded data using the sensor belt and SEM (like in the video) you might select the ECG, chest expansion, skin temperature and accelerometer channels. Alternatively, if you had used some of the ancillary products, you might select these channels as well. Note: if you are interested in the time of day of your recording, it is important that you select the correct time zone in which the data was recorded from the drop down menu. When you have finished selecting the channels, click ‘OK’ and your data will be imported into LabChart. Now you are now free to analyze your data as you wish! Missing some of the software mentioned above?